It has been a very busy week end – after ten years, we left Bonnevoie and I basically spend every day since last Monday packing and moving stuff. Ca va sans dire, I basically had no time and willing to cook, so we had several meals out after a very calm period and you will find all of them on the blog in the next days. 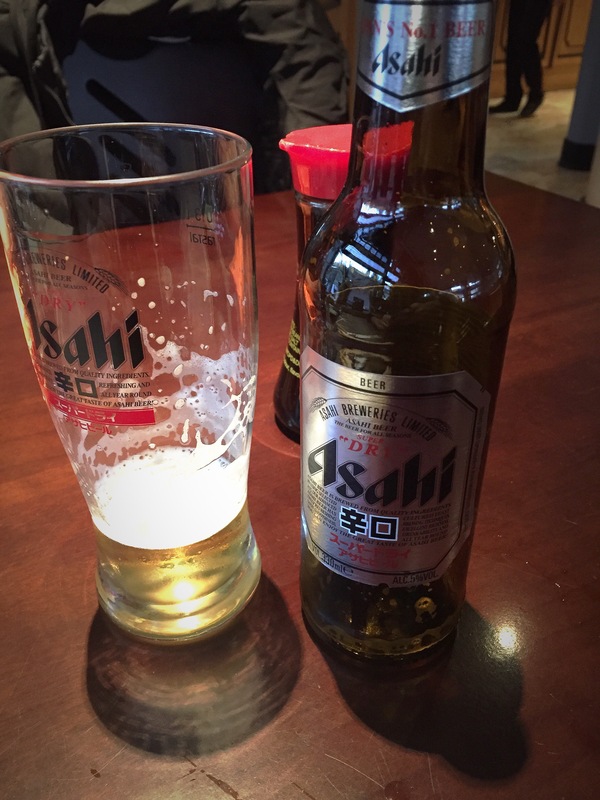 I start from the last: on Sunday night, our last night in Bonnevoie, hubby and I decided to have some sushi. The answer came not out easily, as the couple of places in town we visit normally are closed on Sunday and we did not want to drive out of the city. So, after a bit of research, we ended up at Kyoto, a Japanese restaurant that I remember since I first arrived in Luxembourg but I have never tried yet. It is located at the very end of route de Thionville, before getting to Hesperange. They have parking space just in front, we got there around 8.30 pm and there were couple of tables occupied. 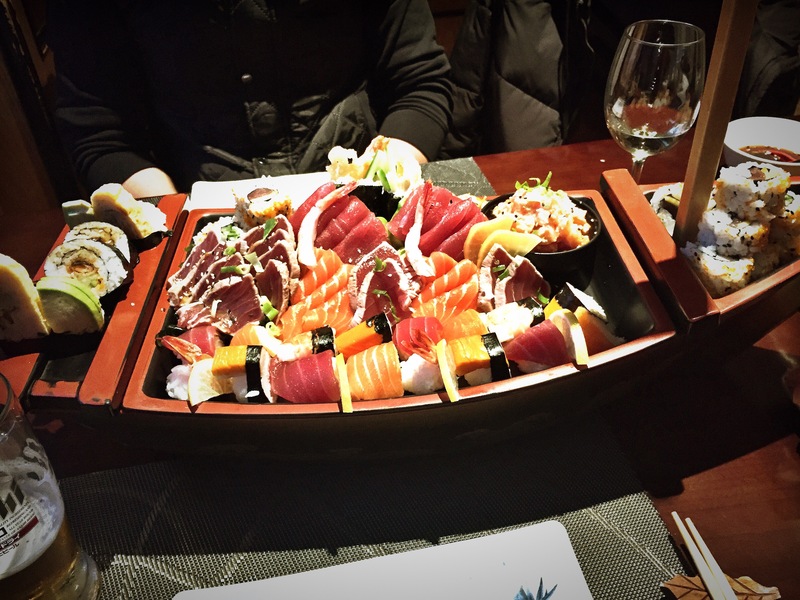 After requesting some clarifications from the menu, we decided to go for the Warrior plat – a ship with several kind of sushi and sashimi – and a portion of tempura. The waitress pointed out it was pretty much but we were really hungry. 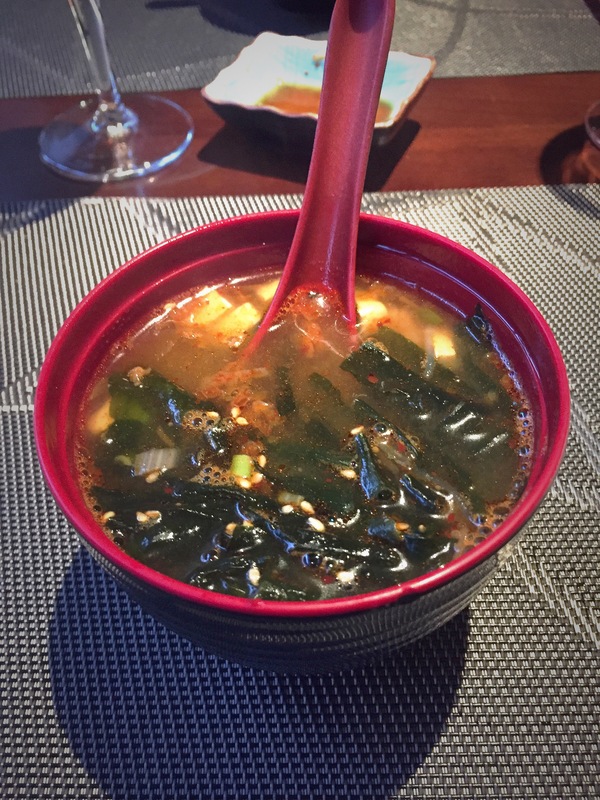 The ship was anticipated by a miso soup included in the deal – I had a spicy one that was extremely good. Pictures of the dinner and general impressions are following. Sushi and sashimi were very fresh and classic. My husband really appreciated the mi-cuit tuna and I loved mostly everything else 🙂 I just note to myself there are several surimi crab pieces that personal I don’t like – so next time I will ask to substitute them. Special mention to the avocado rolls and the salmon chiraschi, super good. Portions are generous and prices correct. 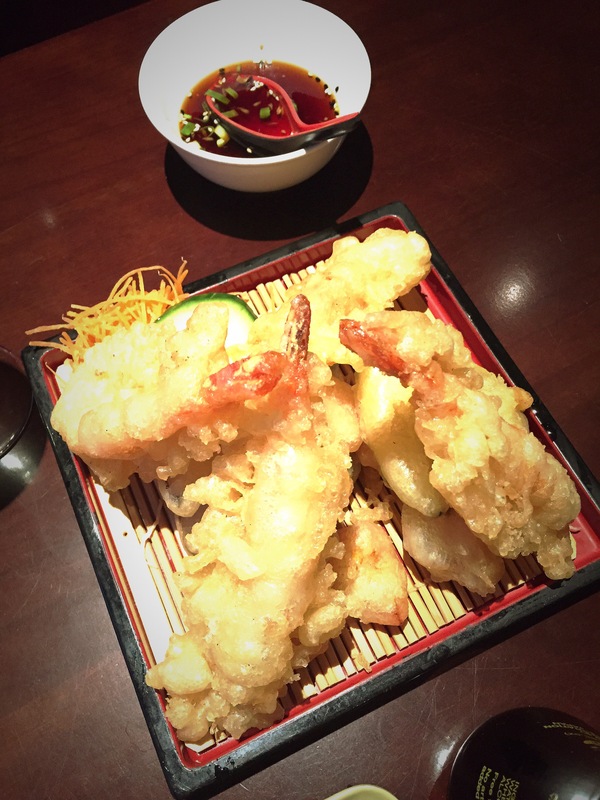 We went for the big ship plus a huge portion of tempura. If you have smaller appetite – that was definitely very much -, you ended up with a smaller bill compared to fancy places in the city centre. Location is calm and quiet, very relaxing and service was great. Always smiling, refilling the wine, checking if everything was ok, available to explain dishes on the menu and to make substitution in the mixed platter. The Warrior platter is very classic. If you prefer fancy sushi – fried rolls, mayo, original ingredients, you better order the single sushi portions. To sum up: Dining at Kyoto was a pleasant surprise! The menu is focused only on Japanese food, service was extremely kind, location relaxing and we had very nice time. I recommend it for couple dinners and friends celebrations, where you don’t need (or don’t want) to pay only the posh atmosphere, but you care also about the service and the food.